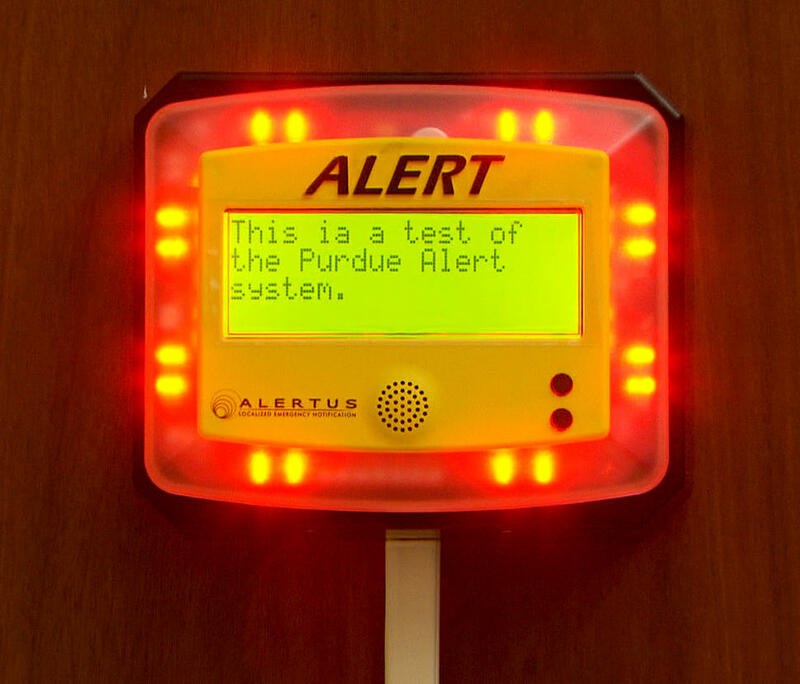 Alertus emergency beacons have been installed in 27 large classrooms across the West Lafayette campus. These beacons are approximately the size of a tablet computer and are located at the front of the room, in full view of the class. The beacons have lights and an audio alarm, which will be activated at the same time an emergency text alert is issued. The text message will also appear on the screen of the beacon. Purdue Student Government senators are moving forward with a committee focused on campus safety. Its creation is in response to the deadly shooting and stabbing of a student last week. PSG Vice President Meg Highley says while the new panel is in reaction to the incident, it is also necessary to try to prevent similar situations. This committee is tasked with collecting student opinions through open forums. Highley says the goal is to make everybody feel safe on campus and she is encouraging students to take part in the process.